The Davey HM is suited for small to large single or two storey houses and boasts the versatility for garden watering as well. 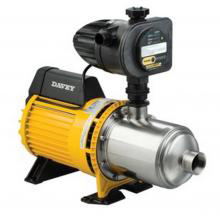 It’s a compact, all stainless steel horizontal multi-stage centrifugal pump, available with an adjustable pressure switch and gauge, or Torrium® control systems. As with the XJ and HP, stainless steel construction provides corrosion and wear resistance which gives longer pump life and better water quality. High efficiency, low noise and reduced power consumption are achieved by stainless steel impellers and thick self-centering impeller neck rings. 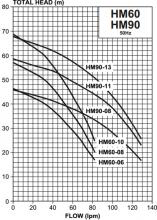 The HM with Torrium® eliminates cycling and protects your pump with temperature cut-out. Pressure tanks can be added if site conditions require additional draw off.